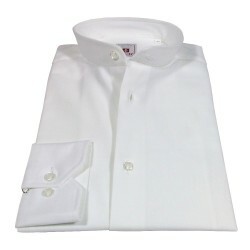 White shirt with button-down collar. 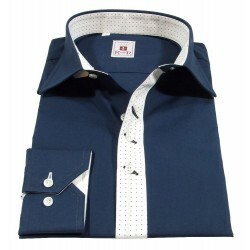 Buttonholes and blue buttons. 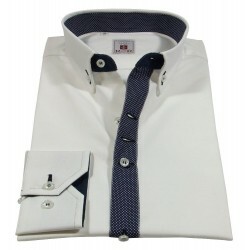 Style contast. 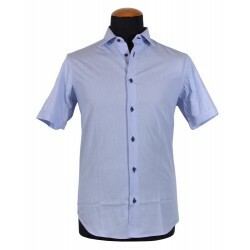 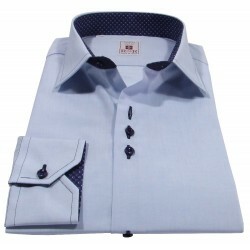 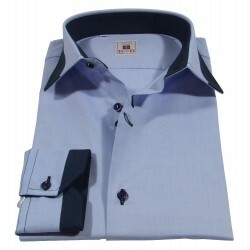 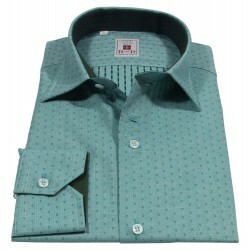 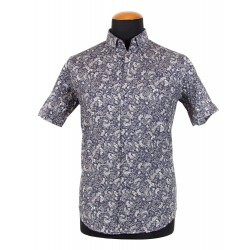 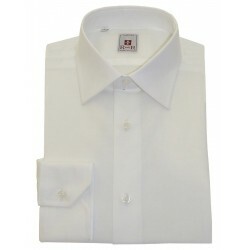 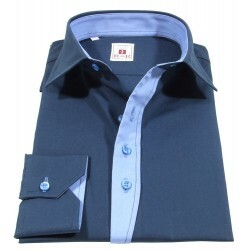 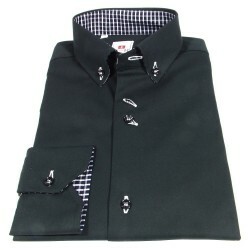 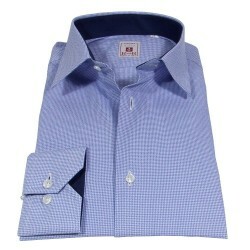 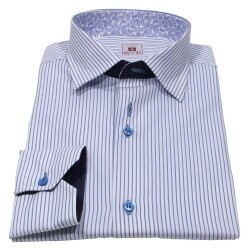 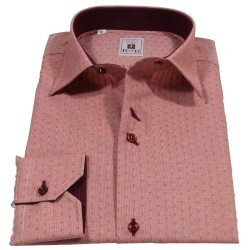 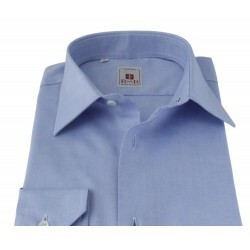 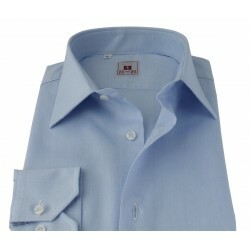 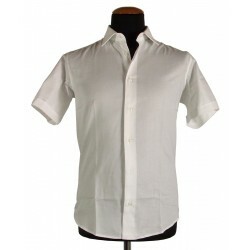 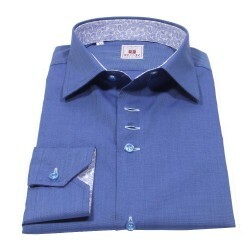 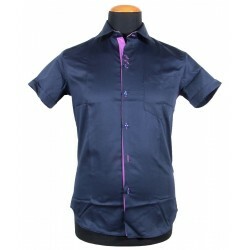 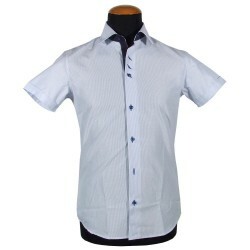 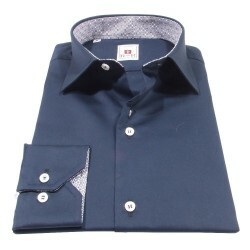 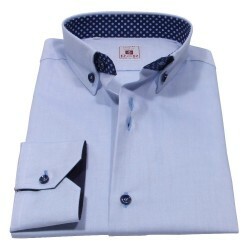 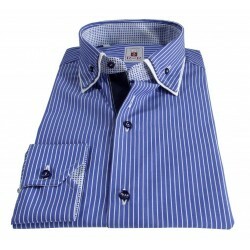 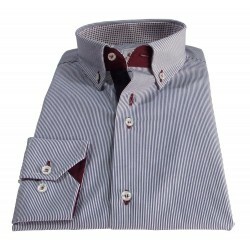 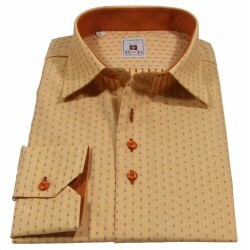 Men's shirt in white color with button-down collar. 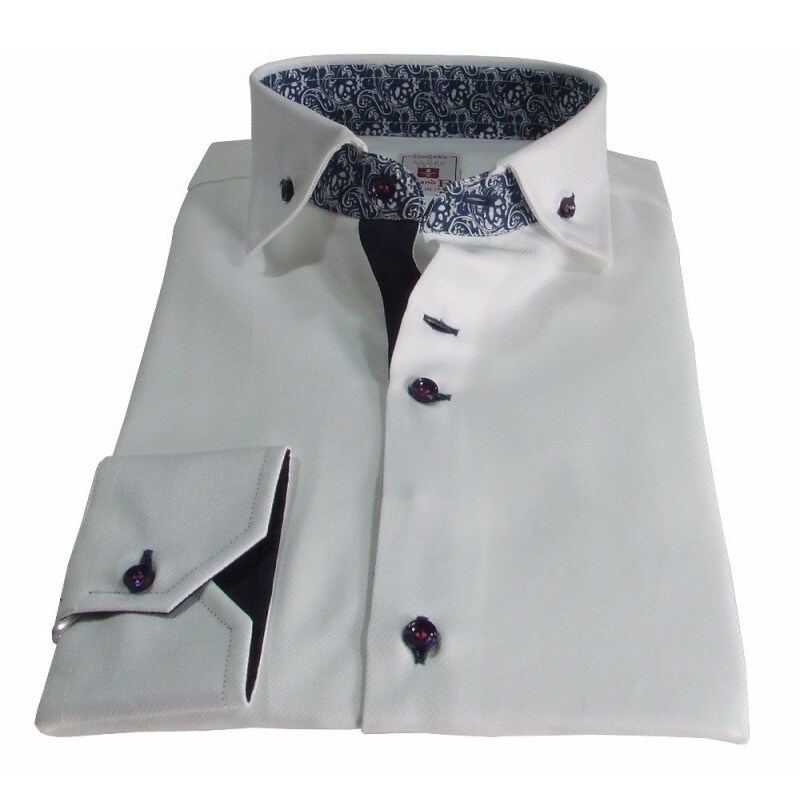 Buttonholes and blue buttons. Style contast.